The word smectic is derived from the Greek smectos, which means “soap-like,” a fitting origin for the term since soap may, in fact, form a type of smectic structure called a lamellar phase. In general, smectic liquid crystals are cigar-shaped and are oriented so that their long axes are parallel, as do nematic liquid crystals. In addition to this organization, smectic liquid crystals are ordered into thin layers, which are usually only one or two molecules thick. 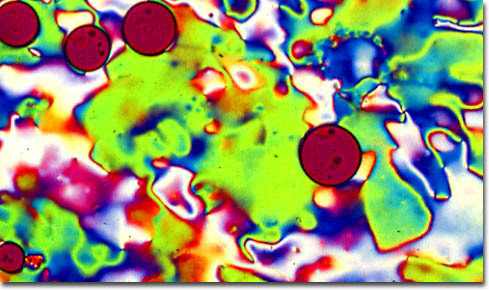 The characteristics of smectic liquid crystals vary somewhat and several different types of the phase have been identified. In some variants of the smectic phase, for instance, the component molecules are tilted at an arbitrary angle relative to the layers, and in others there is substantial ordering within the layers.